It turns out Jen and Cheryl were following Ignacio on Failure Club. Then by coincidence they met at the RISD Museum of Art’s Artist/Rebel/Dandy Men of Fashion exhibit. So while Ignacio and I were working on our goals here in NY they were working hard in Providence embracing the rewards of failure as well. Ignacio is looking forward to spending the weekend with them in Providence June 14 and 15 and hopes to see you there as well. In the meantime if you are a fan of Failure Club – please share your stories with us anytime!! 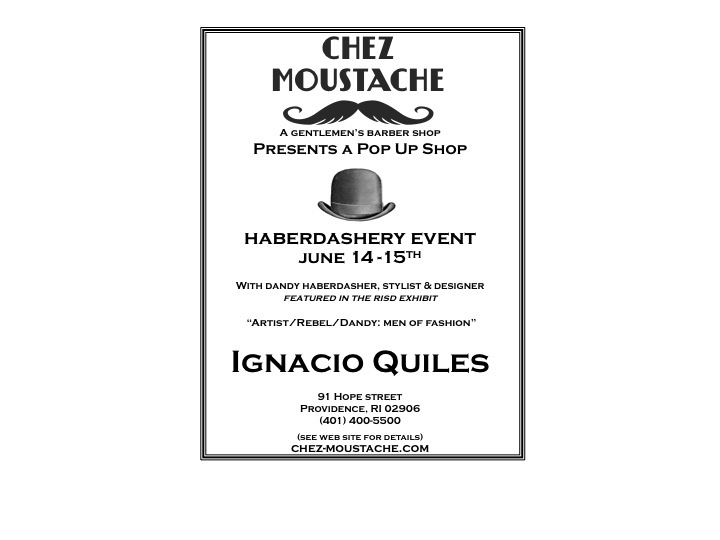 QP & Monty is coming to Providence – stop by Chez Moustache – June 14 and 15 for all the festivities! It’s been a week since I was in Providence attending the stellar “Artist/Rebel/Dandy Men of Fashion” exhibit at RISD’s Museum of Art. I’m still reeling from the sartorial splendor I witnessed both in the museum and on the streets of Providence. I’m not sure what I want to take home the most: Andy Warhol’s paint splattered shoes or King George V’s suit. Though Andy Warhol’s silver wig might make the greatest statement on me. The weekend far exceeded any expectations I had – though I have to admit I always try to temper them. But it was a WOW from Friday night at the Providence Library to Sunday afternoon watching the Tweed Ride wend through the streets of Providence. I had a ball. 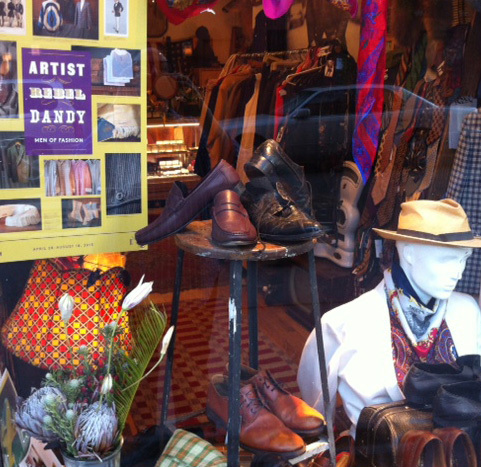 And I learned so much – about tailoring from Kathryn Sargent, about one of my favorite fabrics – tweed – from Guy Hills, about shoes from Marika Verploegh Chasse and about all things splendid from Patrick McDonald. And that is just the tip of the iceberg. I now have fodder for many many more blog posts in the future. But for now I’m focused on swapping my personal wardrobe from fall/winter to spring/summer and on re-merchandising my shop for the warm months to come. For now I hope you enjoy the tribute window I put up. Artists/Rebels/Dandys I love them all! Now through August 18, 2013 at RISD’s Museum of Art, 224 Benefit Street, Providence, RI 02903. Call 401-454-6500 for hours and directions. And if you are based in Providence – I’ll be back in town on June 14-15. Call 401-400-5500 for details and if you need a haircut or hot shave be sure to book an appointment with Cheryl and her team.